The Thornton is just one of many styles of sofas we can make with a fold out bed. JARO sofa beds are made with solid timber frames (no chipboard) and the best mechanisms with innerspring mattresses. This Thornton Sofa Bed has feather fibre wrap backs inserts and indulgent foam. We have a variety of cushion inserts to suit all whether they are firm, soft or hard we can make them to your requirements. We also have a large range of fabric textures and colours for you to select from. Matching arm chairs are also available. 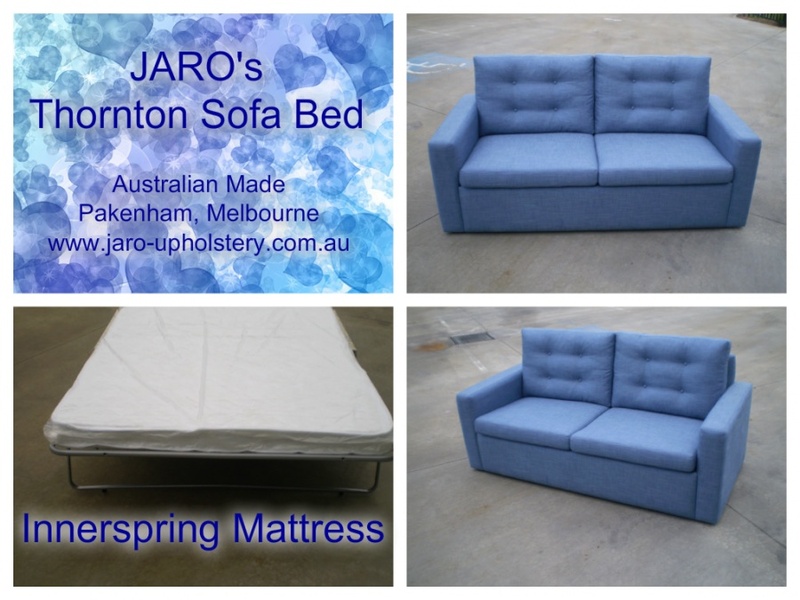 For more information email Jason and Robyn at enquiries@jaro-upholstery.com.au or call/text on 0402 188238 if you would like to make a time to look through our options. You can also click on our New Furniture and Upholstery Recoveries by JARO tab and look through some of the items made by JARO.